Cargo area: Length 45.25", Width 24.5", Length folded: 57.5"
Sturdy constructed with all steel frame, sidewalls, and back. 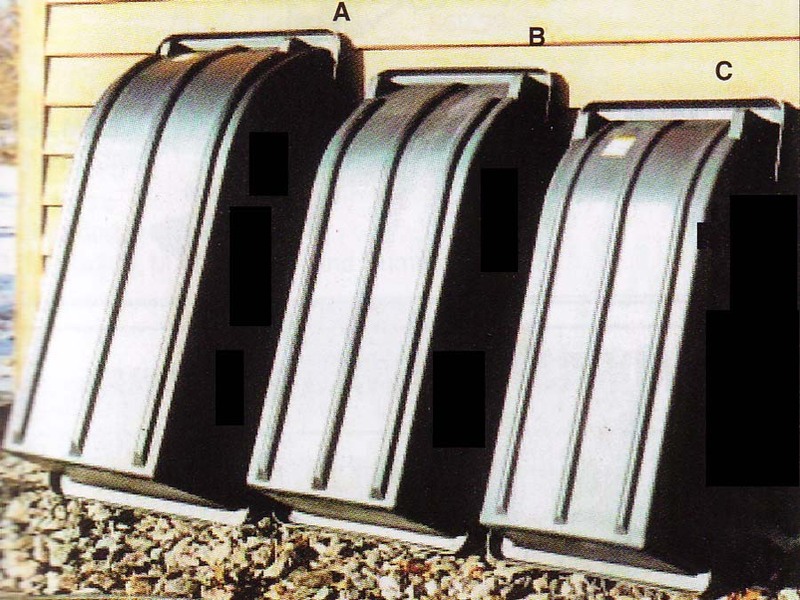 These tubs feature a steel spring-loaded, shock-absorbing hitch; are constructed of a durable polyethylene, with molded tongue attachment points. Waterproof, with ribbed bottom for excellent tracking. Rope may be attached for hand towing. 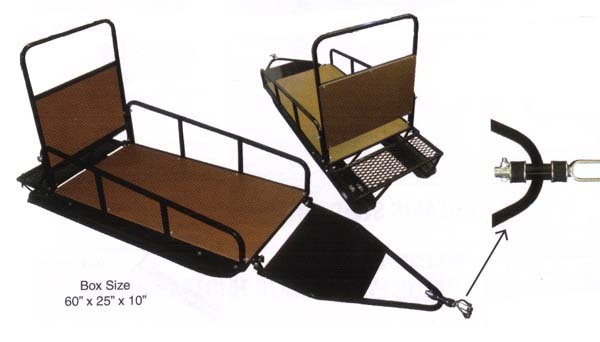 Extension Tub Side Rails will increase your hauling capacity. UPS shippable, extra UPS charge on the large tub. 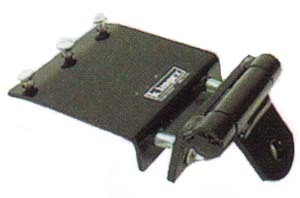 Trailer Kit:: 1 7/8" ball coupler, large knobby tires provide excellent floatation, just pull a pin and trailer tilts to a steep dumping angle. Trailer includes beefy 1 1/4" steel axle, 1" hubs and large 8" ATV tires, durable powder coated finish. 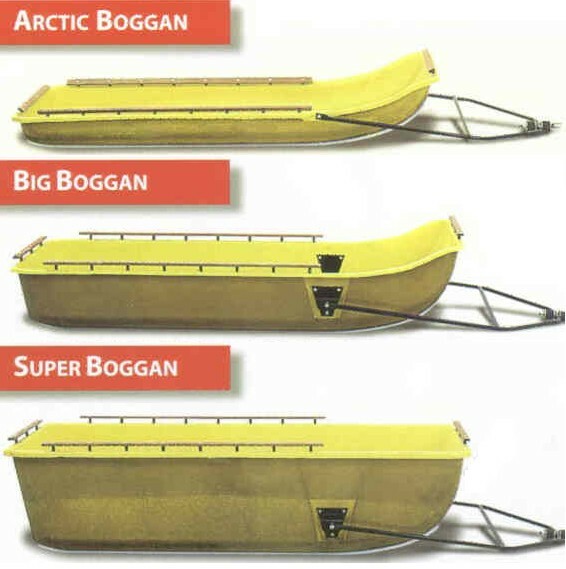 All Boggans are truck shipped to you from one location, due to cost of trucking we do not stock these items around the country. The double cost of shipping would make them too expensive. Since trucking charges vary greatly please use the Get Quote button and provide your complete delivery address so we can provide you with a valid quote. We provide discounts on the equipment based on what is being ordered and also pick up part of your shipping cost. 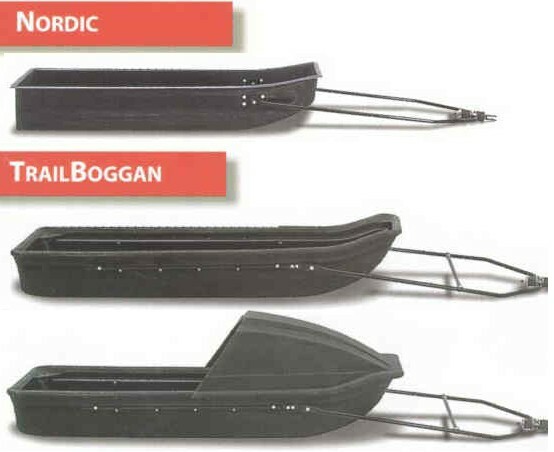 Hitches on the following sleds are built strong for all conditions. 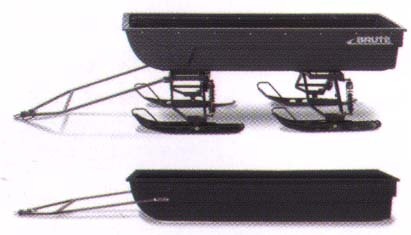 Hitch pivot points are located on the side of the sled, preventing fishtailing and plowing. 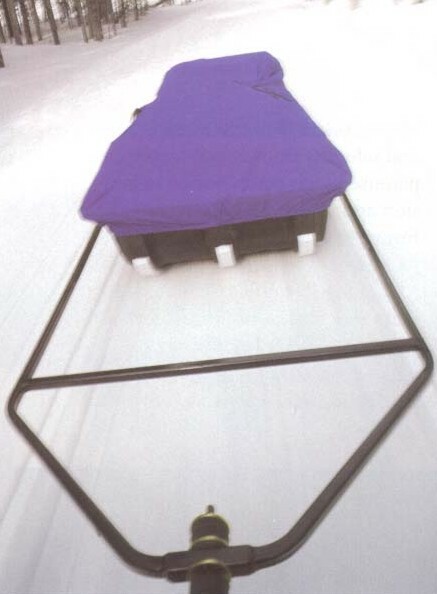 Optional polyethylene runners protect your Boggan and make it track better. 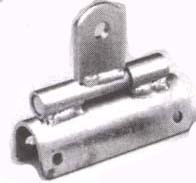 The runners are available in 1" and 2" widths. 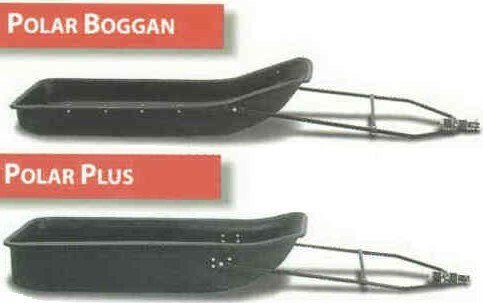 All Boggan metal components are powder coated for lustrous durability, longevity, and rust-resistance. 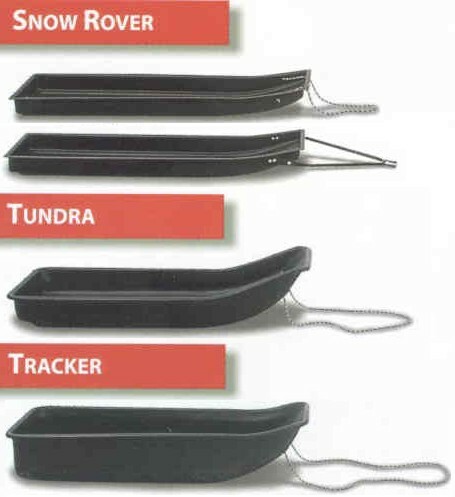 Snow Rover is the only Boggan which is UPS shippable, all other models are truck shipped due to size limitations..
Nordic Length: 72" Width: 22" Depth: 10"
Trail Boggan Length: 93" Width: 26" Depth: 12"
Polar Boggan Length: 72" Width: 30" Depth: 9"
Polar Plus Length: 72" Width: 30" Depth: 12"
Brute Length: 96" Width: 35" Depth: 16 1/2"
Artic Boggan Length: 100" Width: 33" Depth: 9"
Big Boggan Length: 106" Width: 36" Depth: 15 1/2"
Big Extra Boggan (Heavier Duty Big Boggan) Length: 106" Width: 36" Depth: 15 1/2"
Super Boggan Length: 107.5" Width: 37" Depth: 25"
Frontier Length: 70" Width: 22" Depth: 4"
Tracker Length: 72" Width: 30" Depth: 12"